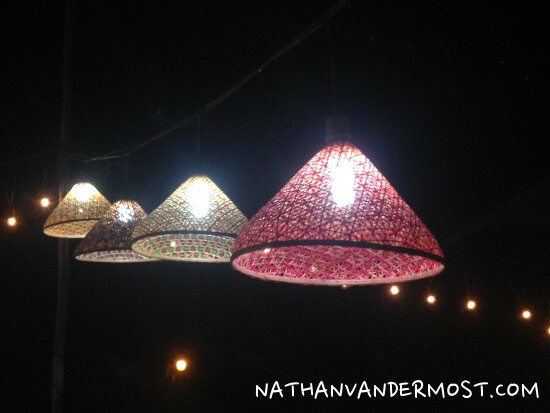 Here is another account of making the long trip to Vientiane, Laos for the illusive Thailand visa. Many expats have written on this experience and you will commonly find questions and answers on common travel sites, Thai Forums, and Visa informational sites. 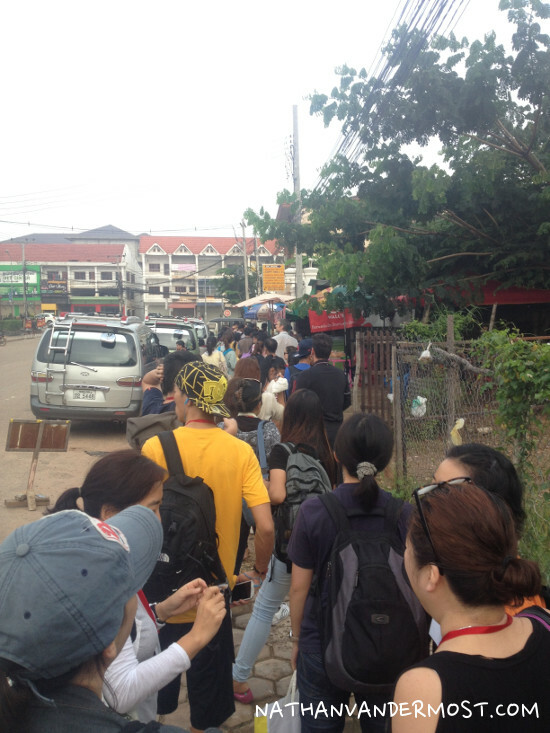 I hope that this post will be informative and give insightful strategies on how to successfully navigate the logistically involved Vientiane Thai visa run while being financially conservative, when possible. If you are strictly interested in the costs associated with this adventure than scroll down to the bottom of the post where I break-down the costs of accommodation, food, and travel. I am teaching in Chiang Mai, Thailand and I am going to get my Non-B Immigrant Visa which is being sponsored by the school that I work at. 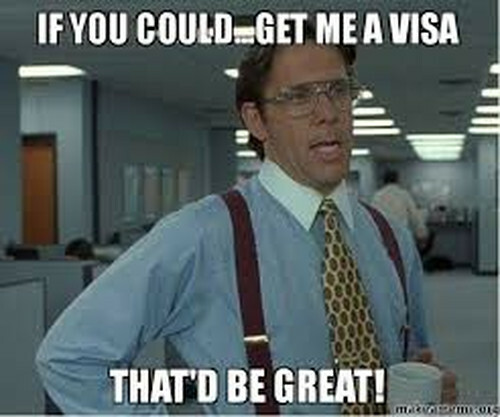 Unfortunately, you have to leave the country of Thailand to process the Non-Immigrant B visa. The closest Thai consulate to Chiang Mai, Thailand is in Vientiane, Laos, located on the map below. 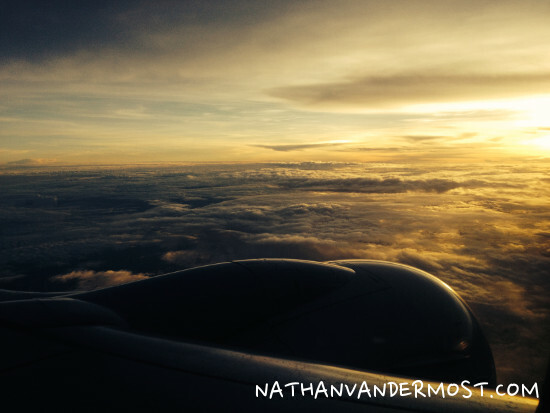 My first objective is to get to Vientiane. 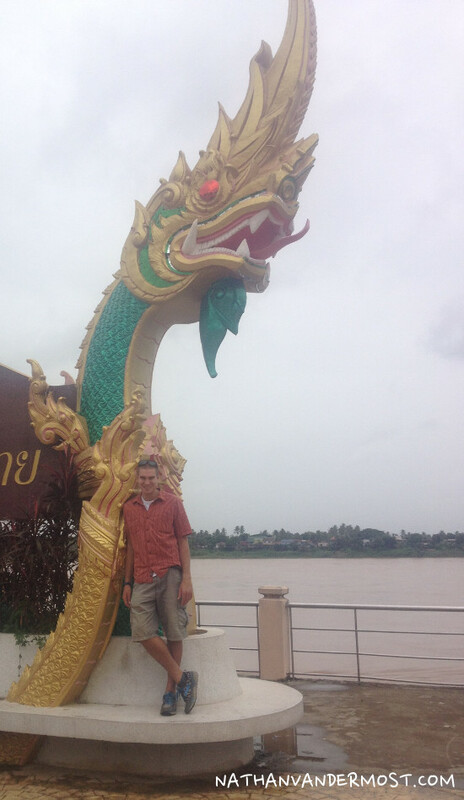 Laos for as cheap as possible. I started by considering different methods of transportation and their associated travel times. I am planning to get to the embassy on Monday July 21st in the morning. I have decided to leave Chiang Mai on Saturday July 19th so that I have the chance to explore while on my grandiose adventure. The two most popular methods of transportation is via bus and airplane. 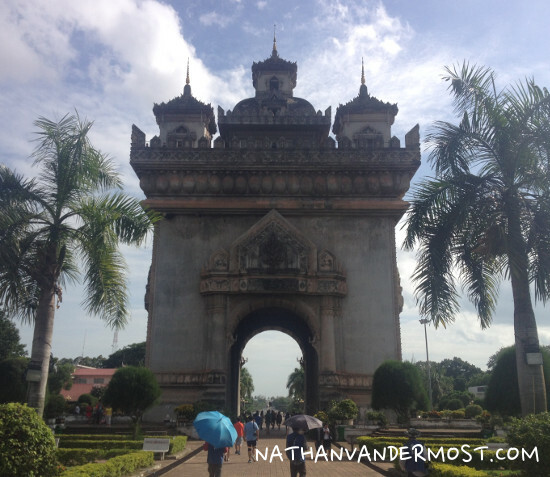 If you fly directly to Vientiane, Laos the cost of a roundtrip plane ticket can run you $350 USD easily. There is fortunately a cheaper alternative which is to fly to the Thai town of Udon Thani, which is roughly an hour south of the Laos border. 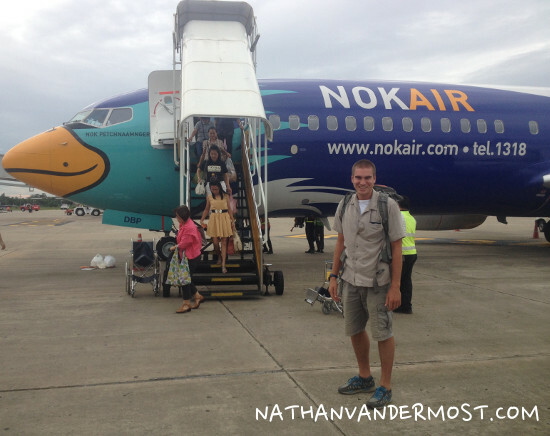 Nok Air is a great airline which offers competitive pricing to Udon Thani and other domestic flights. Keep an eye out for promotions such as the one shown below. Be sure to look at the “fine print” because their special promotions can only be purchased between certain times and dates. The deals go quickly, so act fast! HERE is a link to Nokair promotions. I was able to get a round-trip ticket for 3,468 BHT or $107USD which is less than half the cost of flying directly to Vientiane. Yes, there will be additional transportation costs for a taxi, etc but I will account for those below and still come out on top! The other transportation option is taking the bus which can be advantageous financially but it is roughly a 12 hour bus ride. I had a friend that took the bus and paid 1500BHT or $46USD. The advantage of the bus is that it is significantly cheaper but has a significantly longer transit time. If taking the bus is more your style and easier on your wallet than go for it! The Chiang Mai bus station is on the map below. My flight was at 4:20pm on Saturday July 19th, so I arrived to the airport at 3:30pm. 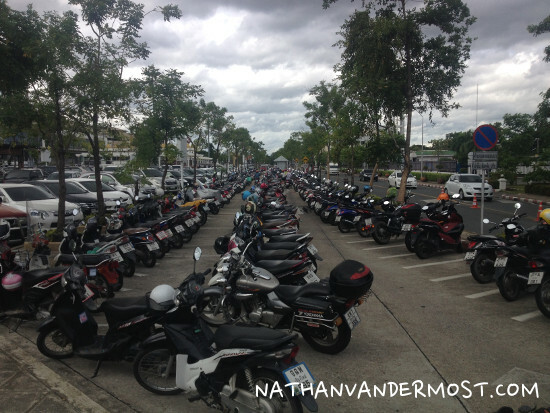 I arrived via motorbike and there is free motorbike parking available. Excellent! If you arrive with a vehicle than you must pay for parking. Obviously, if you arrive via taxi than there are no applicable parking fees. 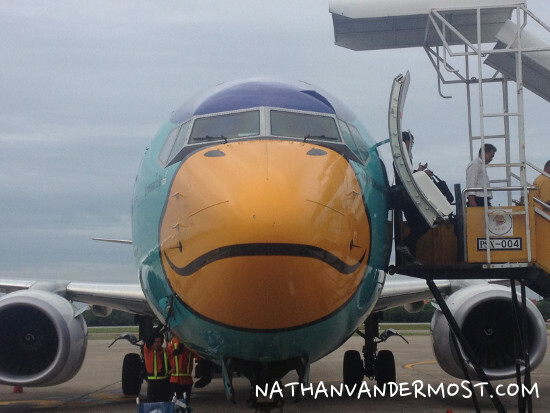 Flying domestically in Thailand is relatively painless and easy. I was able to arrive to the airport and be at the appropriate departure gate within 30 minutes. 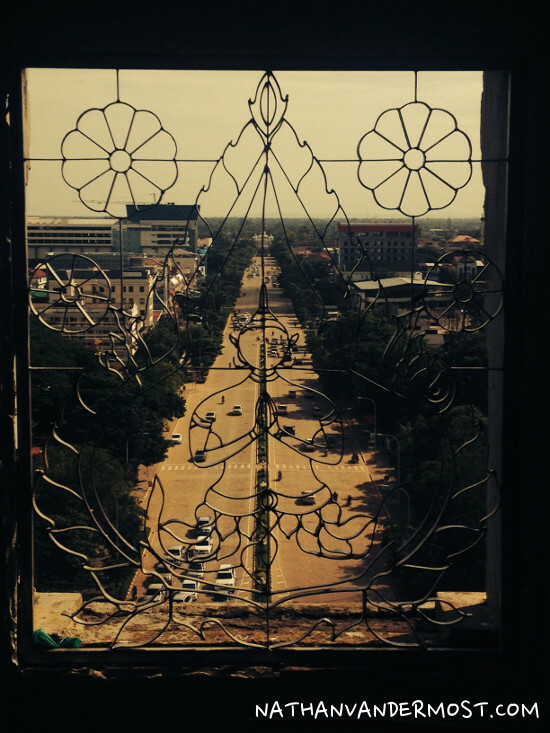 I was joined by a friend that was sparked an interested in joining me to get her tourist visa in Vientiane as well. Therefore, we decided join forces and use our collective travel expertise. We boarded the plane and we were off! 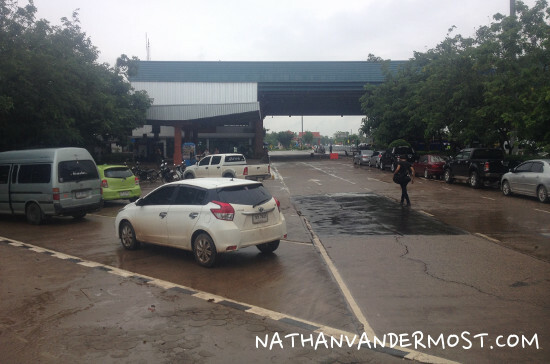 I arrived to Udon Thani, Thailand about an hour later and we secured a taxi to Nong Khai, Thailand about 40minutes north. The cost was 200 BHT or $6.29 USD. 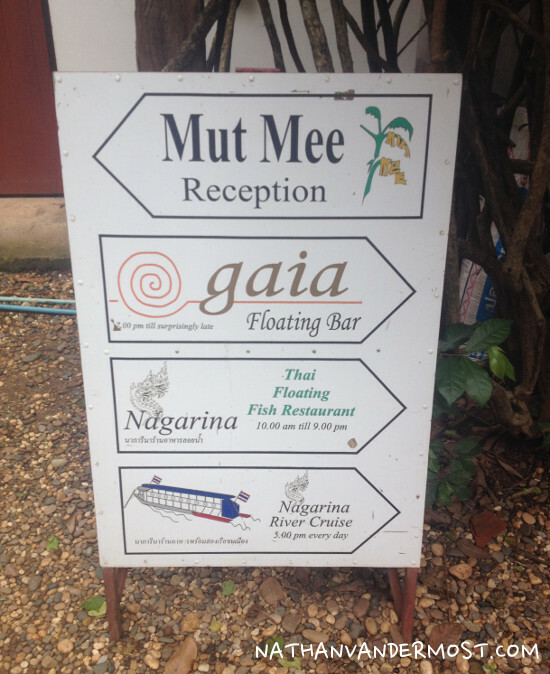 The taxi driver dropped us off at the [eafl id=5764 name=”Mut Mee Guest House” text=”Mut Mee Guesthouse “]which is beautifully located on the Mekong river. Fortunately, they had rooms available and so we checked-in. The guesthouse is very nice and conveniently located in Nong Khai. 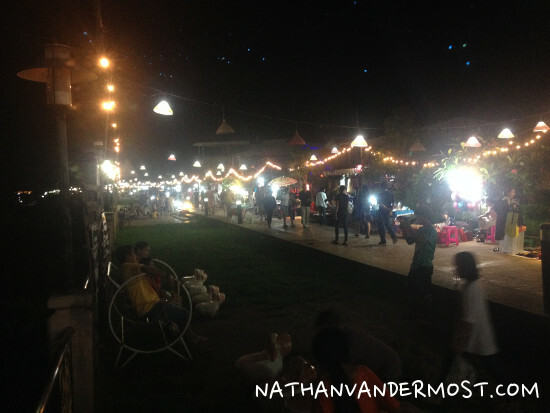 On the weekends there is an energetic night market that is an easy 5 minute walk from the guesthouse. The Mut Mee Guesthouse also features a restaurant and serves food all day, so you can easily satisfy your appetite when hunger strikes! The following day we grabbed breakfast and checked-out. 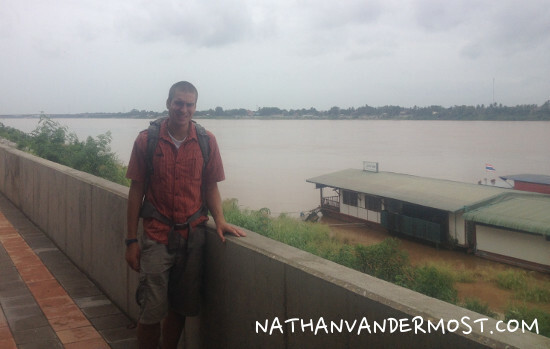 We were not in a hurry to get to Vientiane, Laos so, decided to walk along the Mekong river on a nice path. The walkway goes for quite a distance. It eventually, ends at a Wat (temple). During our walk it started to rain lightly, which was really refreshing. The walk took us about 30-45minutes. 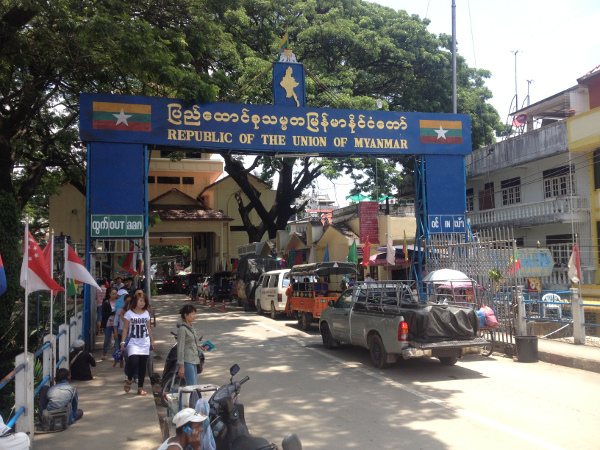 We board the Tuk tuk and head towards the border. 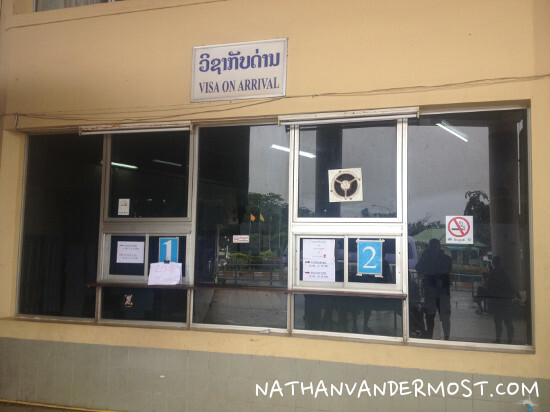 After getting getting to the border in roughly 15-20 minutes we pay the driver 60 BHT each or $2USD. After arriving to the border we have to exit Thailand. This is a relatively easy process in which you hand your passport to an immigration officer and they stamp it. Please note that you need to have your departure card which you received when you entered the country. Next, you take a bus across the “friendship bridge” which costs 20 BHT or 5000 Laos Kip. 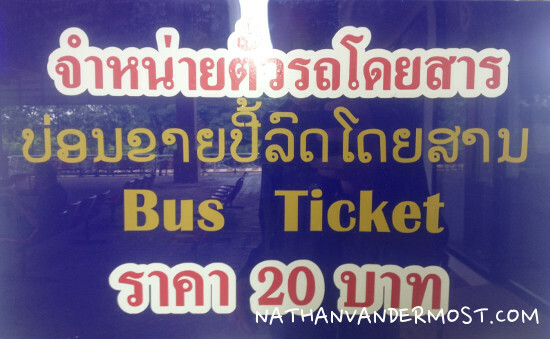 The bus tickets will be available to your right, after immigration. 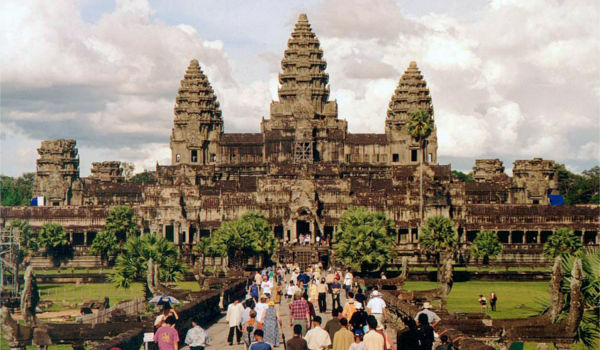 Also note that you will get offers from taxi drivers to take you to Vientiane, Laos. Although, this is an available option, it can be considerably more expensive. 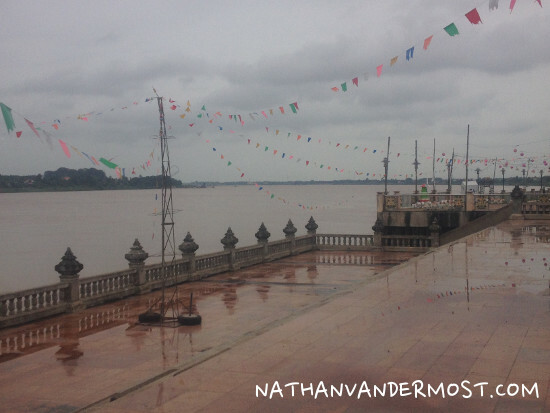 Once you arrive to the other side of the, “friendship bridge” then you get dropped off at the Laos border. 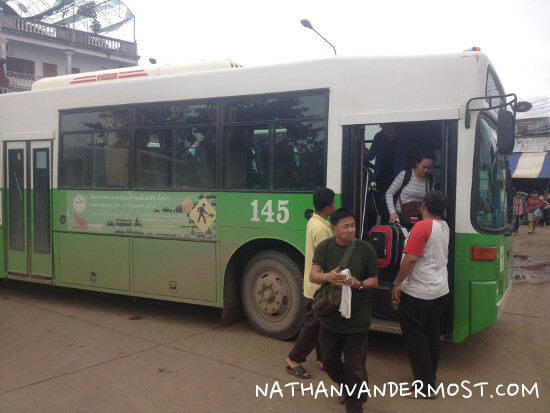 We departed the bus and had to get our Laos tourist visa. 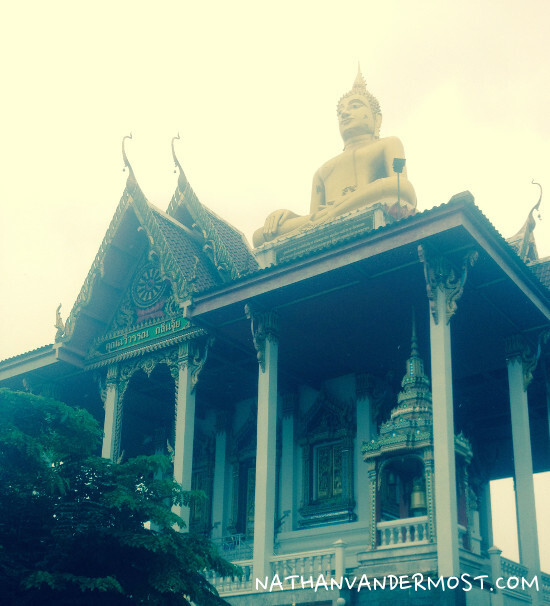 Fortunately, Laos offers a 30 day tourist visa on arrival. The cost is $36USD or 1500 BHT for U.S. passport holders. 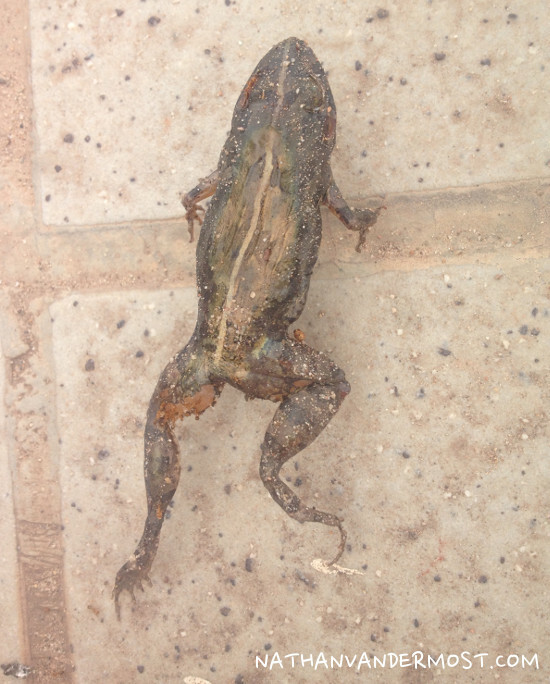 Please note, you cannot pay using Laos kip… at the Laos border. There are three windows, go to window #2 first and get the tourist visa paperwork. After filling it out, (be sure to bring a pen!) go to window #1 and hand it to the immigration officer along with the the $36USD or 1500 BHT. Then, you will be able to get your passport back at window #3. The whole process takes roughly 30 minutes but depends on the number of people trying to cross the border. Ok! Now, I got my tourist visa and can enter Laos. 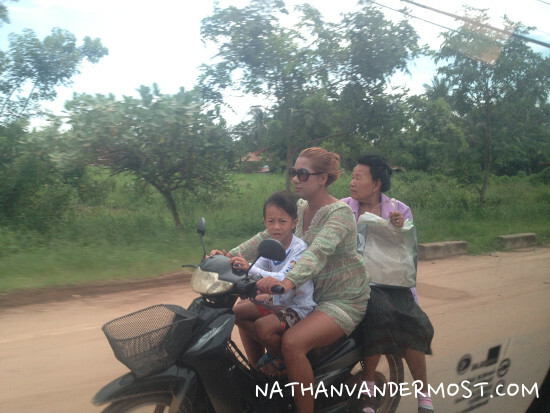 Once you enter Laos, you will get bombarded by taxi drivers asking if you want a ride to Vientiane, Laos. Again, be careful as this is another opportunity to get financially taken advantaged of. You should ideally not pay more than 200 BHT or $6.28 USD. 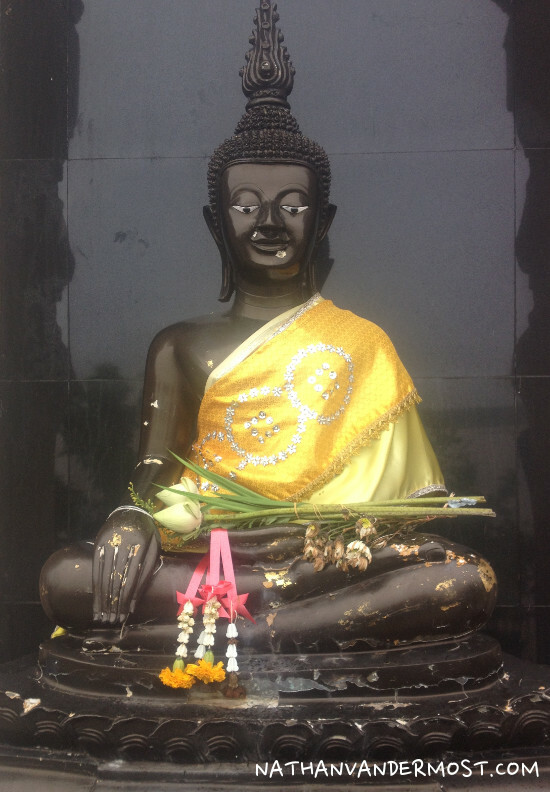 If you find other people that are trying to get to Vientiane it can be financially advantageous to get a group together to take a taxi and therefore pay less per person. The other alternative is to take a public bus which is across the street. The cost is 30BHT or 7500 Laos kip. 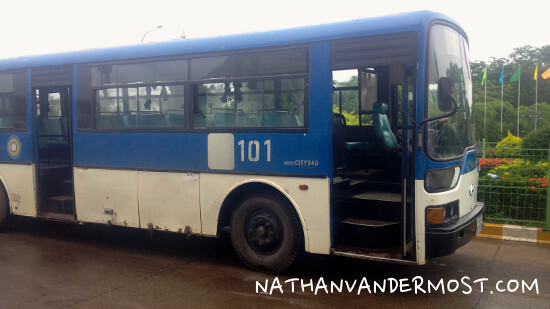 We choose to take the bus since we were not in a huge hurry to get to Vientiane. The bus was a great experience as it went relatively slow and had big windows which made for great viewing. 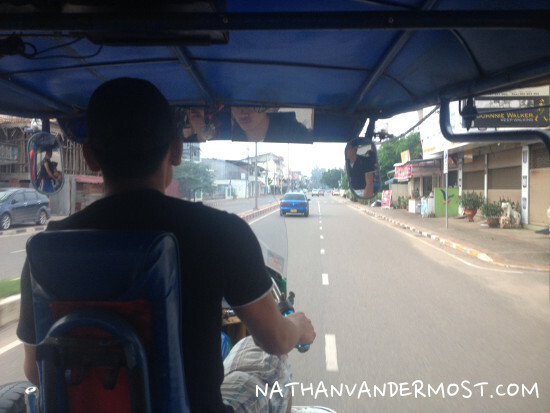 The ride to the Vientiane bus station takes about 45minutes. After arriving to the station and departing the bus I look around and I am greeted with the smell of gasoline and plumes of dark bus exhaust. The bus station is a hub for people traveling all over the country. I open my Maps 2 Go App of Vientiane which is a map of the city that opens without wifi or cell service. 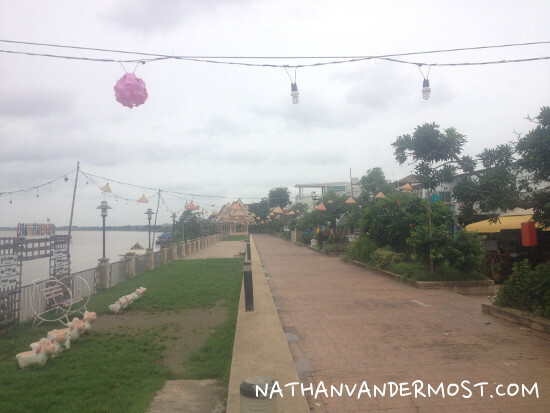 I determine that walking to the city center is within reason and so Amie and I walk towards the Mekong river and a city park. After walking along the river which has a nice walking path and exploring the city park, we cross the street and find [eafl id=5768 name=”Mixay Guest House” text=”Mixay Guethouse.”] They have reasonably priced accommodations so we booked with them. Unfortunately, there were several people that cut in line which was pretty frustrating and everyone feels pretty stressed. I would encourage you to summon every ounce of patience while going through this process as it is not constructive to have negative energy. Once you enter the consulate there are several rows of seats and depending on your queue number there maybe some left. The other teacher and I found a seat and waited patiently. Eventually, our numbers were called and we were able to present our paperwork to the Thai Consulate representative. Assuming you have the correct paperwork than you will to move onto the next step. Following, you have to go into an adjacent building and wait once again for your number to be called. You will have to pay 2000 BHT or $62.80 USD. You will receive a receipt. Hold onto the receipt as you will have to present it when you pick-up your passport, the following day. After presenting your paperwork and paying you can leave and have the rest of the day to do whatever you want. 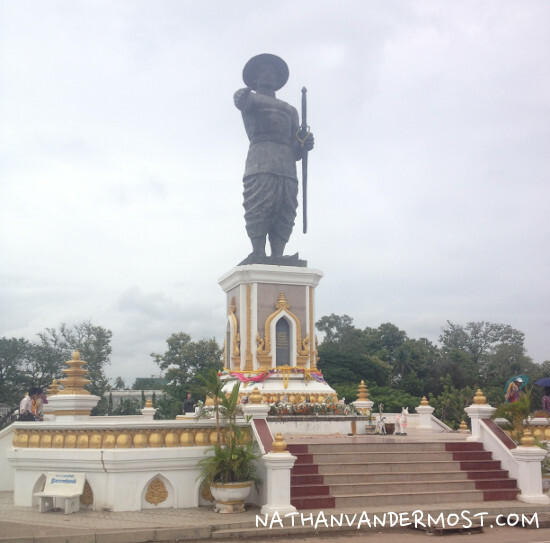 I decided to grab some food, visit the Laos Museum, and the Patuxai, which is the Victory Gate of Vientiane. The Patuxai resembles Paris’s Arc du Triomphe. The next day I had to be back at the Thai Consulate to pick-up my passport. You can only pick-up your passport after 1:30pm. I arrived at 12:45pm to get a new queue number. Everyone from the previous day is there and wants to get their passport and leave as much as I do. After waiting till about 2pm, I am able to get my passport and leave. The other teacher and I left the consulate and got bombarded by taxi drivers, “Taxi! Taxi!” We agreed that we needed to get to the border and ideally wanted to pay no more than 200 BHT. We were able to find a driver that agreed to that price. We were off and made it to the border in about 40 minutes. This was a lot faster than taking the public bus. After getting to the border it was the same process as when I had arrived, just in the opposite order. 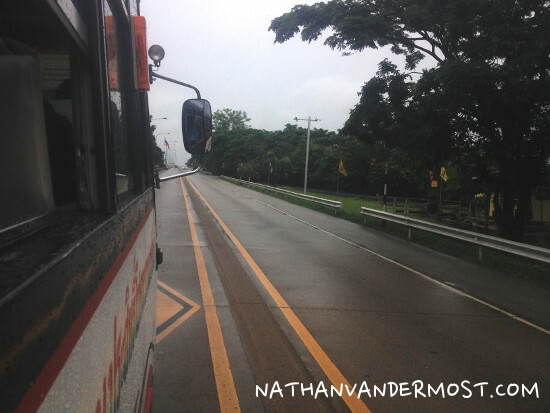 I smoothly exited the Laos border and was able to get on the bus that crosses the “friendship bridge” for 20 BHT. Now, it was time to re-enter Thailand. Fortunately, there was a small line at immigration. 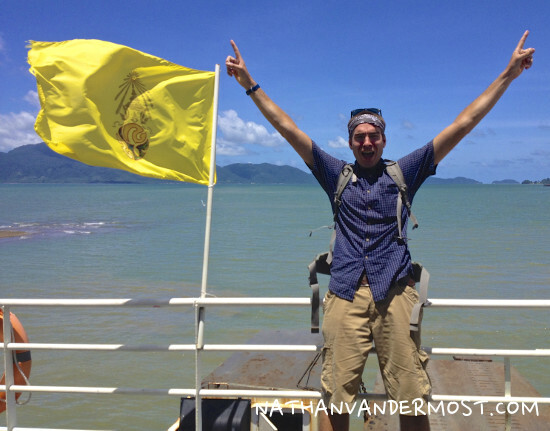 I crossed into Thailand with my new Non-B Immigrant visa with no problems! 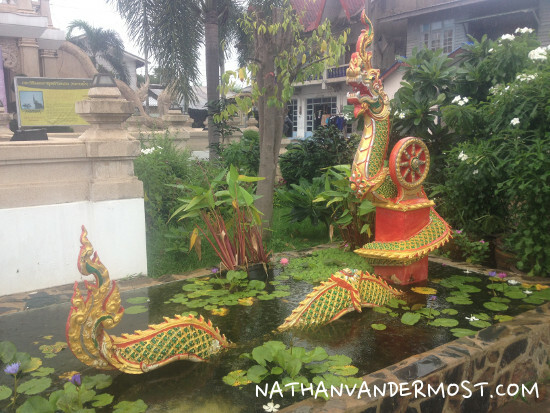 Now, I had to get to the town of Udon Thani in order to fly back to to Chiang Mai. The other teacher and I were able to negotiate with a taxi driver and pay 250 BHT or $8.50 USD each for a 40 minute ride to the airport. 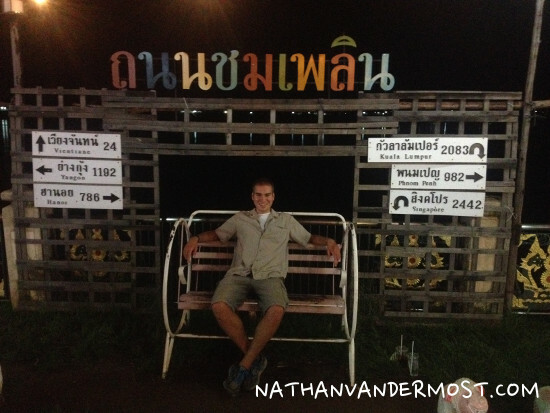 After arriving to the airport, we checked onto our flight and made it safely back to Chiang Mai at 7:30pm. Overall, it was a successful weekend adventure! The total cost of accommodation and transportation was 7,723 Baht or $257 USD and the total cost of food for me was 3,024 or $100.80 USD for a grand total of 10,747 Baht or $358 USD. 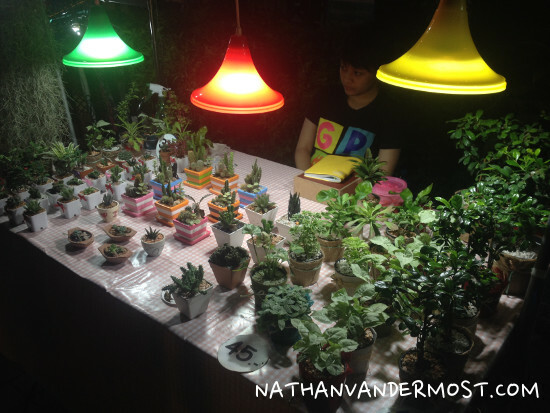 The specifics of what I spent are broken down by the two tables below. The 1st table breaks down the costs of accommodation and transportation. Whereas the second table shows my costs for food. 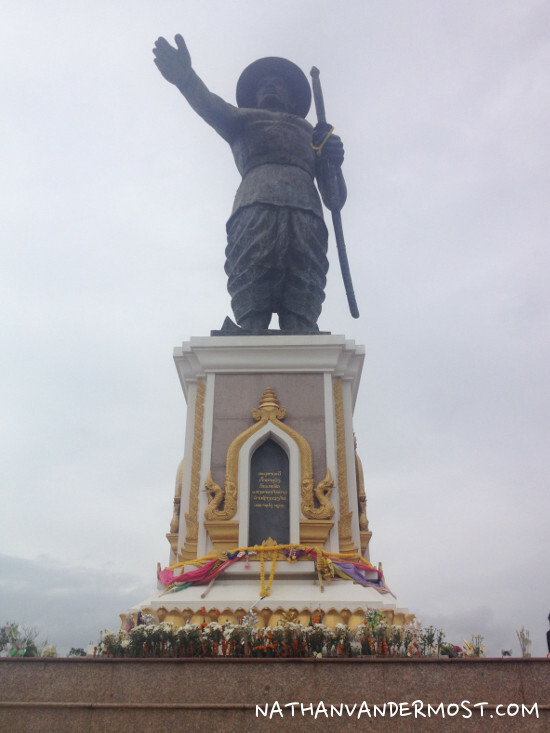 Additionally, I show the cost in three different currencies, Thai Baht, US Dollars, and Laos Kip. I use the following exchange rates for my calculations except for the Laos border entry fee that has a fixed rate of entry for either 1500 Baht or $36 US Dollars. Please note that most establishments in Vientiane, Laos will accept Thai Baht for payment. Be sure to ask prior to making a purchase. The table below breaks-down my transportation and accommodation costs. The table below breaks-down my food costs on the trip.